(This is a long overdue blog Post that I thought was never meant to be published. I have written and LOST this post twice. Ouch! Here it finally is! 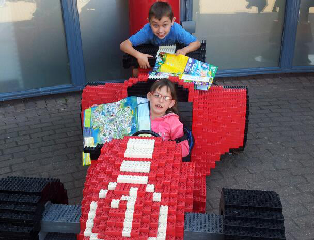 This is what happened after the first part of our Lego land Journey! As soon as we got to the Dragon Centre, we discovered that The Doctor Who Experience had moved. Dave said, “That explains why I’ve seen lots of signs all pointing in the opposite direction then!” Hmm! We decided to eat at the Dragon Centre, whilst we were there anyway, and then make our way to Doctor Who. We all really enjoyed our food. I loved my antipastini of Italian breads with olives with a mascarpone and spinach dip so delicious that I desperately need to find my own recipe! 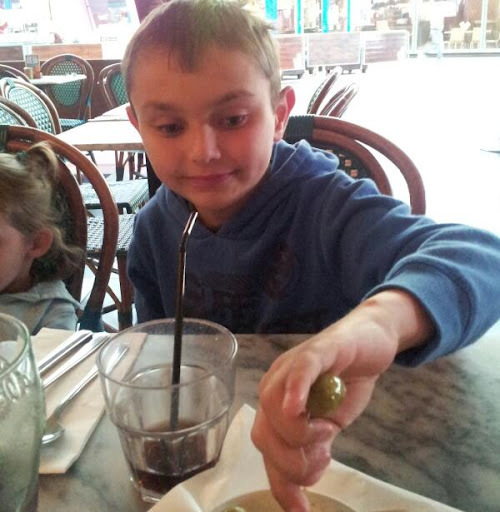 Danny loves olives too! Good job I love him enough to share with him! We all enjoyed our pizza and pasta. 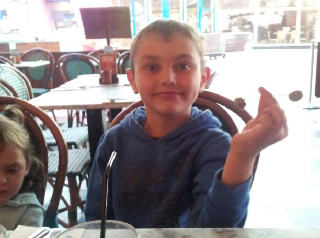 The kid’s menu is good value at £5.25 for an antipastini, main course, dessert and drink (with free refills). As the kids were having dessert, we decided to join them (it would have been rude not to!). I chose the Molti Strati (a chocolate crumble base, layered with white chocolate mousse, caramelised orange glaze and chocolate tagliatelle) which was a bit like a giant jaffa cake. Dave makes a similar dessert at home as we love the taste of chocolate orange. We had a lovely, relaxing meal there. Rebecca’s behaviour was a bit out of character though. 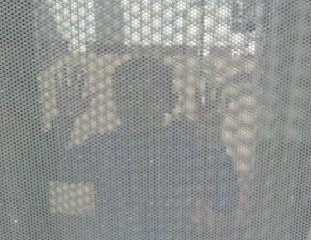 At home, she is a “quietly confident” kind of girl, but she has started to get quite nervous when we go away. She was really scared of going to the toilets in the restaurant, it took her three attempts to pluck up the courage to use them, and they were good, clean facilities (not to mention she had been on a long journey, drinking a bottle of water and enjoying free refills in the restaurant). 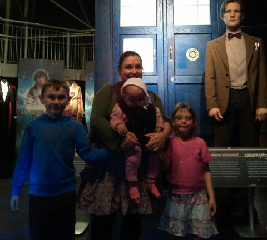 After our meal, we walked across the bay to find The Doctor Who Experience. I assume we’ve just been lucky, but whatever season we have visited The Bay, we have always enjoyed the Sunshine. I love the leisure atmosphere, and always feel happy with a holiday feeling! There is always something going on, on this occasion there was the closing ceremony of the Wales Rally GB and the Olympic and Paralympic heroes homecoming to Cardiff. We love to wander and see the sights and sculptures. We made a wish for “World Peace” on the World Harmony and Peace Statue (how very “Miss World” of us I know!). The Welsh words translate as ’Creating truth like glass from the furnace of inspiration’. We got to Doctor Who just in time for the last admission! If you are huge Doctor Who fans then it is well worth a visit, but if you’re not into Doctor Who then don’t even consider going there (obvious advice I know!). There is an outdoors exhibit that everyone can enjoy- The Tardis. The first part of the “new” experience consists of a guided interactive tour. There is a cafe and shop, where you can wait until your tour starts. The experience is very dark and Rebecca immediately got scared again, so I spent all my time cuddling her,reassuring her and memo-ing myself to never take her there again! Caitlyn and Isabelle were both mesmerised and fascinated by the experience. Danny and Dave loved it, as we expected! 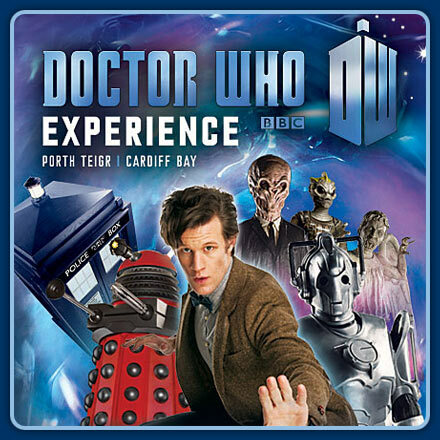 From what I saw of the experience, I thought it was very clever, you literally go through a “crack in time”, get to see lots of exclusive footage with Matt Smith and there’s even a 3D experience. My favourite part had to be entering the Tardis, it was a dream come true! I could have believed I was on a real tardis if it wasn’t for all the safety rails and fire exits! Danny and Caitlyn were so excited to “control” the tardis, and the moving floor was fun! After, the guided tour, you are free to explore the “world’s most extensive collection of original Doctor Who props and artefacts includes the entire collection of Doctors’ iconic costumes from 1963 to the present day”. I enjoy the behind the scenes displays, discovering how the special effects are created. Rebecca was relieved to be “out of the darkness”, but still not relaxed enough to fully enjoy this part of the experience, so I rushed around with her and Isabelle, while Dave, Danny and Caitlyn took their time. Rebecca seemed to perk up in the Doctor Who shop though! 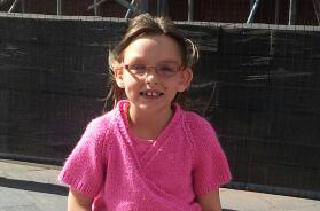 We then had to complete our journey, travelling from Cardiff to Windsor. Unfortunately, there was quite a bad accident on the motorway, so it took us a lot longer to drive there. It was already dark when we arrived. I”m glad that we had stayed at the Travelodge Slough before so we knew how to get there and where to park (we use the Church Street Car Park). So we had a very late night birthday tea for our newly four year old! 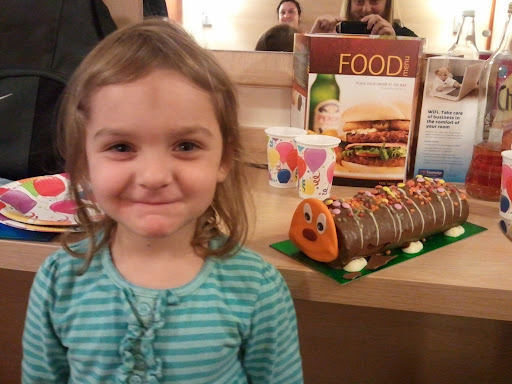 Caitlyn with her Caterpillar Cake! 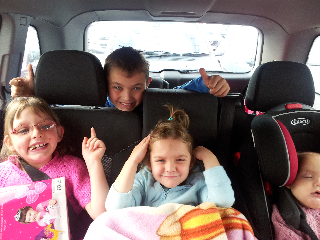 Then we had the fun job of getting four excited kids to sleep so they would be well rested for legoland the next day! Next Post Win a pair of rugby tickets to see Wales v England in the RBS 6 Nations!